August 24, 2018, Friday at the Lifetsyle District. ? 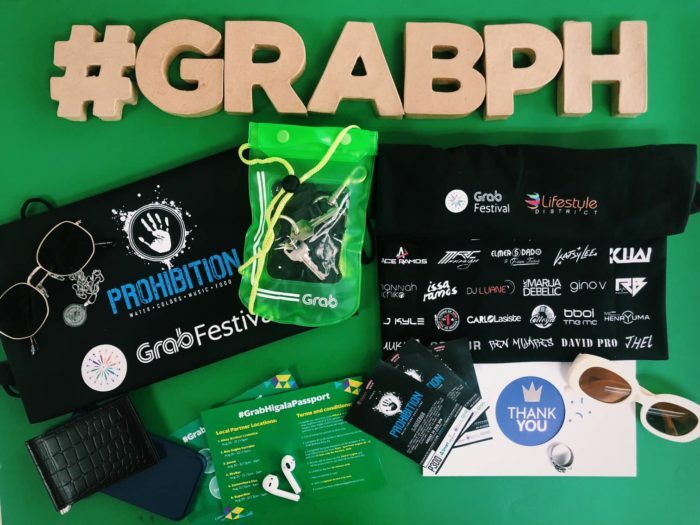 Here’s what’s inside the Grab Barkada Party Kit ? You can get the #GrabHigalaPassport by visiting our local partners and with a minimum purchase of Php50, you can get one. Just show them your Grab app before claiming your passport. 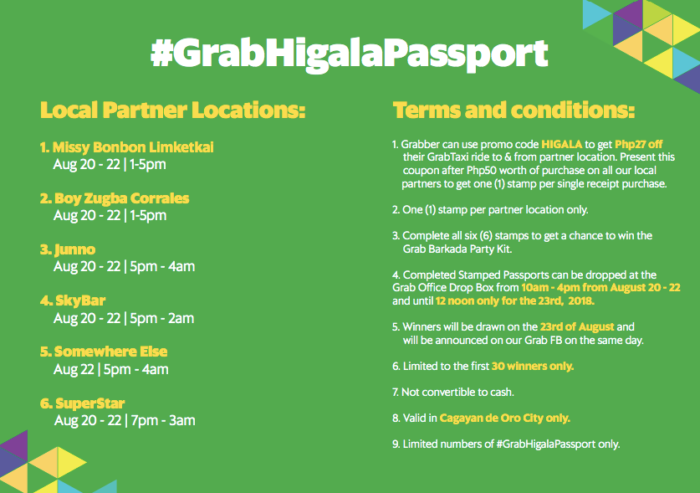 Grabber can use promo code HIGALA to get Php27 off their GrabTaxi ride to & from partner locations and Grab CDO Office. Visit all 6 partners, present this coupon after a minimum purchase of Php50 and get one (1) stamp per single receipt purchase. One (1) stamp per partner location only. Complete all six (6) stamps to to get a chance to win the Grab Barkada Party Kit. 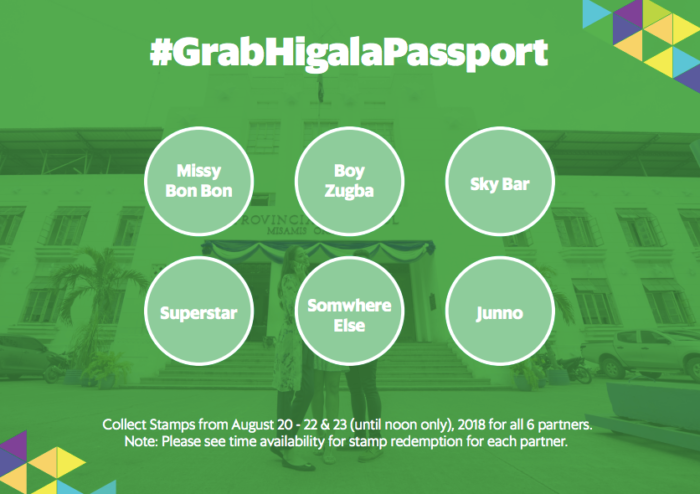 Completed Stamped Passports can be dropped at the Grab CDO Office Drop Box from 10am – 4pm from August 20 – 22 and until 12noon only for the 23rd, 2018. Winners will be drawn on the 23rd of August and will be announced on our Grab FB & IG on the same day. Limited to the first 30 winners only. Valid in Cagayan de Oro City only. Limited numbers of #GrabHigalaPassport only. What’s else do we have in store for you this Higalaay Festival? Use promo code HIGALA to get Php27 off to and from our local partner locations and the Grab CDO Office (2nd floor Masonic Building, J.V. Serina street, Carmen) from August 20 – 23, 2018. Use promo cdoe GRABCDO to get Php50 off your first Grabtaxi ride from August 24 – 30, 2018. For all those heading to the prohibition party, use promo code PROHIBITION to get Php50 off your Grabtaxi ride to and from Lifestyle District on August 24 & 25, 2018. See you there and Keep on Grabbing! ?